Kinoshitalite: Mineral information, data and localities. 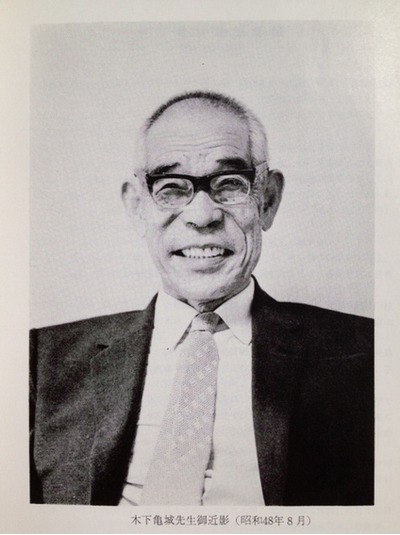 Named in honor of Kameki Kinoshita (木下亀城) (28 June 1896, Fukui Prefecture, Japan - 14 January 1974), mineralogist, professor at Kyushu University, and investigator of ore deposits in Japan. The hydroxyl analogue of fluorokinoshitalite. Yoshii, M., Maeda, K., Kato, T., Watanabe, T., Yui, S., Kato, A., Nagashima, K. (1973) Kinoshitalite, a new mineral from the Noda-Tamagawa mine, Iwate Prefecture. Chigaku Kenkyu (Geoscience Magazine): 24: 181-190 (in Japanese). Fredrikssonite 2 photos of Kinoshitalite associated with Fredrikssonite on mindat.org. Tephroite 1 photo of Kinoshitalite associated with Tephroite on mindat.org. Calcite 1 photo of Kinoshitalite associated with Calcite on mindat.org. Yoshii, M., Maeda, K., Kato, T., Watanabe, T., Yui, S., Kato, A., Nagashima, K. (1973a) Kinoshitalite, a new mineral from the Noda-Tamagawa mine, Iwate Prefecture. Chigaku Kenkyu (Geoscience Magazine): 24: 181-190 (in Japanese). Yoshii, M., Togashi, Y., Maeda, K. (1973b) On the intensity changes of basal reflections with relation to barium content in manganoan phlogopite and kinoshitalite. Bulletin of the Geological Survey of Japan: 24: 543-550. American Mineralogist (1975): 60: 486-487 (abstract). Kato, Y., Y. Miura, M. Yoshii, K. Maeda (1979) The crystal structure of 1M-kinoshitalite, a new barium brittle mica, and 1M-manganese trioctahedral mica: Mineralogical Journal: 9: 392-408. Guggenheim, S., Kato, T. (1984) Kinoshitalite and Mn phlogopites: trial refinements in subgroup symmetry and further refinement in ideal symmetry. Mineralogical Journal: 12: 1-5. Dasgupta, S., Chakraborti, S., Sengupta, P., Bhattacharya, P.K., Banerjee, H., and Fukuoka, M. (1989) Compositional characteristics of kinoshitalite from the Sausar Group, India. American Mineralogist: 74: 200-202. Mineralogical Magazine (1999): 63: 267-279. Gnos, E., Armbruster, T. (2000) Kinoshitalite, Ba(Mg)3(Al2Si2)O10(OH,F), a brittle mica from a manganese deposit in Oman: paragenesis and crystal chemistry. American Mineralogist: 85: 242-250. 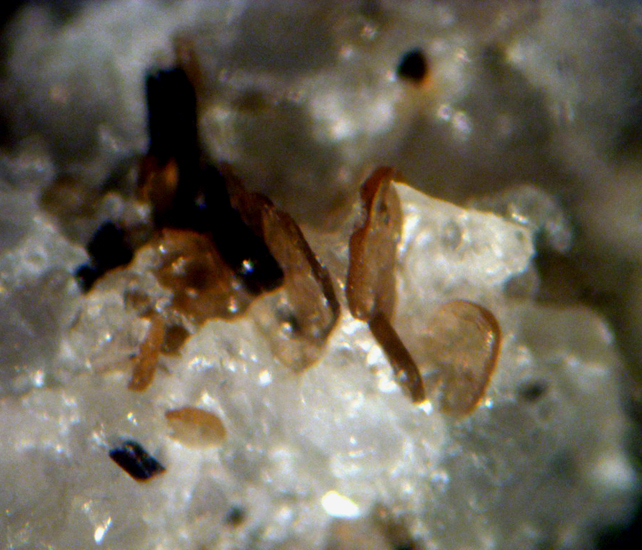 American Mineralogist (2003): 88: 40-747. Doležalová, H., Houzar, S., Škoda, R.: Minerální asociace forsteritových mramorů s Ba-flogopitem a klinoshitalitem na uranovém ložisku Rožná, moldanubikum, západní Morava. Acta Musei Moraviae, Scientiae geologicae, 2005, roč. 90, s. 75 - 88.; Doležalová, H., Houzar, S., Losos, Z., & ŠKoda, R. (2006). Kinoshitalite with a high magnesium content in sulphide-rich marbles from the Rožná uranium deposit, Western Moravia, Czech Republic. Neues Jahrbuch für Mineralogie-Abhandlungen: Journal of Mineralogy and Geochemistry, 182(2), 165-171. O´Brien Hugh,Tyni Matti 2005 Eastern Finland kimberlite province. Fifth international dyke conference 31.7-3.8. 2005 Rovaniemi, Finland; Hugh E. O'Brien and Matti Tyni (1999) Mineralogy and Geochemistry of Kimberlites and Related Rocks from Finland. Proceedings of the 7th International Kimberlite Conference, 1999, p.625-636. 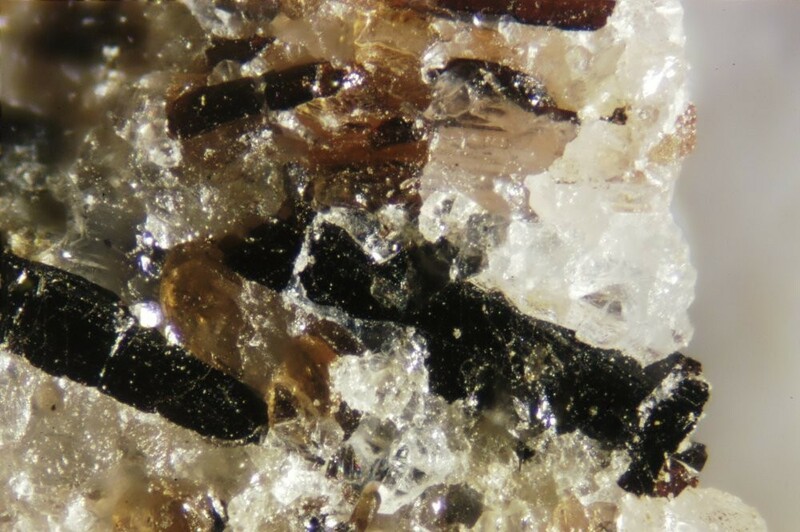 Degenfelder, J., Tropper, P., Constantini, D. & Pomella, H. (2016): Mineralogische Untersuchungen der Mischkristallreihe Ba-hältiger Phlogopit - Kinoshitalit in Marmoren aus dem Meran-Mauls Basement. Mitteilungen der Österreichischen Mineralogischen Gesellschaft, 162, 47-50 (in German with English abstract). Soltys, A., Giuliani, A., & Phillips, D. (2018). Crystallisation sequence and magma evolution of the De Beers dyke (Kimberley, South Africa). Mineralogy and Petrology, 1-16. Dunning, G.E. and Cooper, J.F. 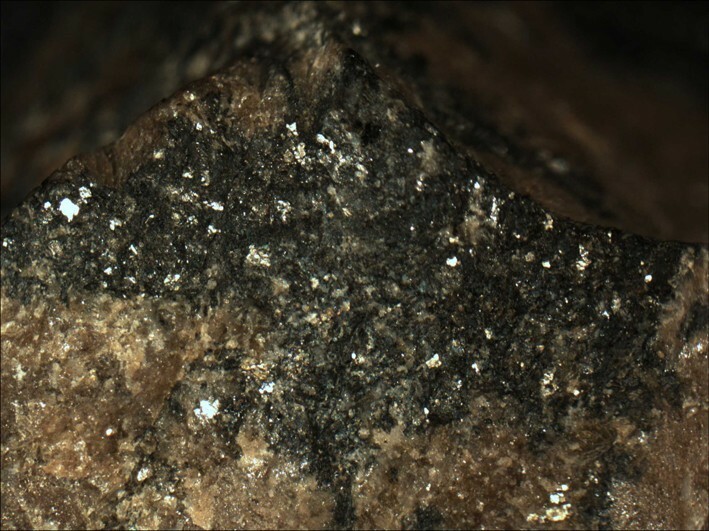 (1999) Barium silicate minerals from Trumbull Peak, Mariposa County, California. Mineralogical Record: 30(6): 411-417.; Jambor, J.L. and Roberts, A.C. (2002) New mineral names. American Mineralogist: 87: 765-768.